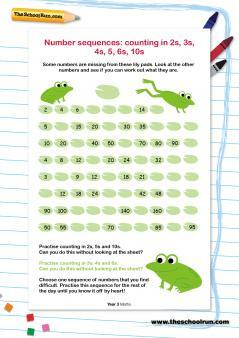 Practising the 4 times table with your child? 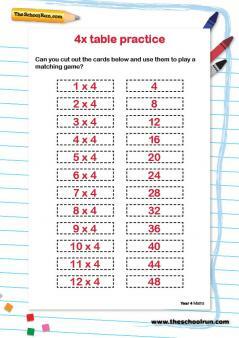 Try educator John Bald's table-specific tips to help your child master it, then use 4 times table worksheets and games to consolidate the learning. 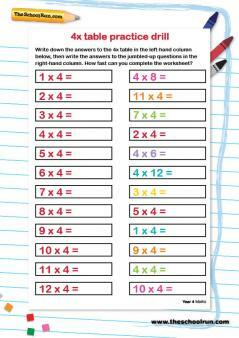 Once the 2 and the 3 times table are in place, even if still a little slow, learning the 4 times table tends to be a little easier. 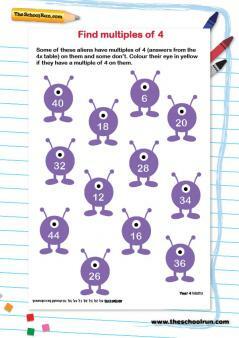 Children are beginning to become used to switching between columns, and the numbers are all even and still below 50. 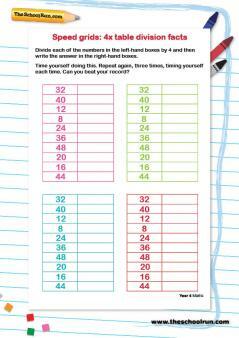 As in the 2 times table, the final digit of each answer repeats itself after 5x. Give plenty of practice on 2s,3s and 4s together. This really helps with higher tables, and 5 will come as light relief. 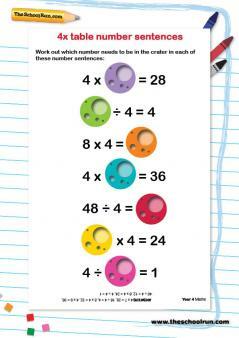 Use two 2p pieces as units of 4 maths aids if you need to. 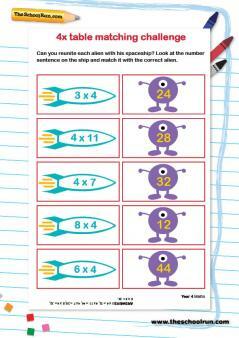 These can then be split to reinforce the idea of doubling 2 and halving 4. 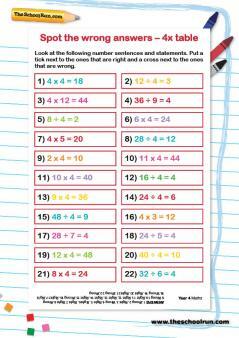 See below for some of TheSchoolRun's 4 times tables worksheets. 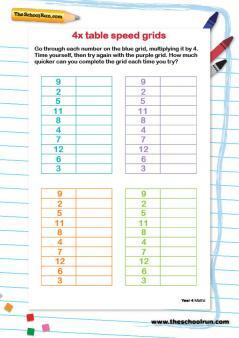 We also have a SchoolRun Times Tables Learning Journey.